For small businesses or for home use, the HP PSC 950xi is a convenient all-in-one printer for printing, copying, faxing, and scanning. 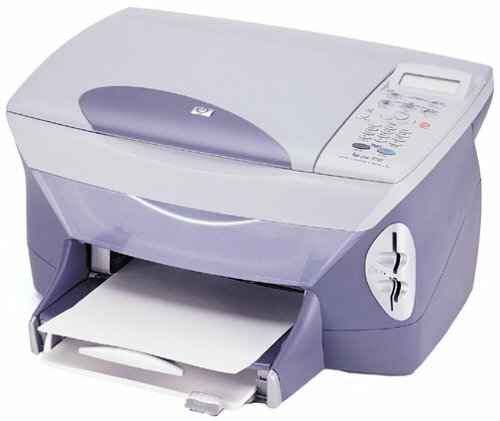 It is well-priced and easy to operate, and even offers colour copying. Not only does it deliver decent prints and copies, scans are of good quality too. However, the HP PSC 950xi has limited connectivity options. The bulky HP PSC950xi features a flatbed scanner and an inkjet printer. The organised control panel is easy to use, and there is an LCD display along with it. There is a USB port for connectivity and memory cards for easy photo printing. The maximum print resolution of the PSC 950xi is 600 x 600 dpi for black and white and 2400 x 1200 dpi for coloured prints. Because it can work as a standalone device, users dont need to turn on a computer to use the Hewlett Packard PSC-950xi all-in-one printer. Copying is easy with the help of the LCD display, and the memory card readers support direct photo printing. This multifunction HP printer is a complete package, as it offers scanning, copying, and faxing. The HP PSC 950xi is an outdated model, so it lacks some modern features such as Wi-Fi, Ethernet, and a PictBridge port. There are plenty of other multifunction printers around with more advanced features. In fairness, however, these devices are typically more expensive than the HP PSC-950xi printer. The PSC 950xi also has slow printing and copying speeds from a negative aspect .